After judging earlier this month, the jury for the 2016 PRWeek Awards Asia has released the shortlist for the awards, which take place on 15 June in Hong Kong. More than 50 agency and in-house communicators spent 6 May thoroughly examining this year’s entries and putting together the shortlist of nominees. Judges from several markets including Japan, Australia, Hong Kong, India, Thailand, China and the Philippines were present at the judging. You can see photos from the judging day here. 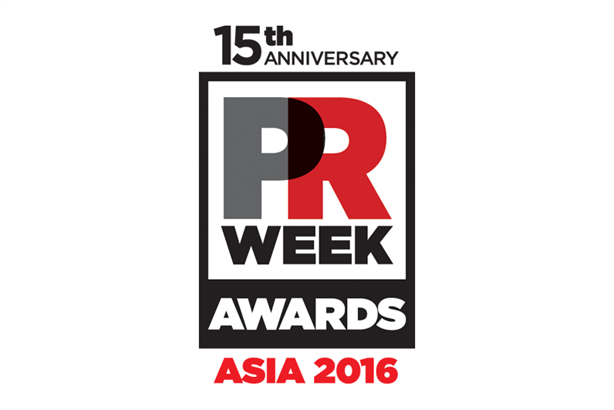 The PRWeek Awards Asia take place on the evening of 15 June at the JW Marriott in Hong Kong, following that day's PR360Asia conference. For more information on the awards, including table booking information, please see www.prawardsasia.com.